Scott Turner, left, and his father, Doug, owners of the Ocean View Resort in Dennis Township, support the idea of new shuttle service connecting the campgrounds with Sea Isle. Doug Turner and his son, Scott, owners of the Ocean View Resort Campground in Dennis Township, tried running shuttles to Sea Isle City a couple of years ago to take their campers to the beaches just a few miles away. They thought it was a good idea, but noted that their weekend shuttle service didn’t offer enough rides back and forth to Sea Isle to make it attractive for the campers. So they stopped it. But now, it appears shuttle service may be revived this summer in a partnership between Ocean View Resort and the Sea Isle City Chamber of Commerce and Revitalization. The Chamber is also looking to bring other neighboring campgrounds on board to make the shuttle viable. The Chamber has already etched out tentative plans to run 13-passenger shuttles seven days a week from late June to Labor Day. Shuttles would run every half-hour between 5:30 p.m. and midnight and cost $2 one way, according to a preliminary schedule. The Chamber had previously discussed the possibility of offering free shuttle rides, but now it appears there would be a modest fare if the service is launched. Glancey noted that the Chamber hopes fare revenue would cover the operating costs of the shuttle. The Chamber, the campgrounds and possibly local businesses, though, may help subsidize the service, he said. Chamber of Commerce President Christopher Glancey believes shuttle service could bring thousands of visitors to Sea Isle from the neighboring campgrounds. During the Chamber’s monthly board meeting Tuesday, Glancey told the members that he will give a report on the shuttle service in March. The Chamber wants to tap the campgrounds to bring more day-trippers to town. People who stay at the campgrounds could generate extra business for the bars, restaurants and retail shops in Sea Isle, particularly during the slower days of the week – Monday, Tuesday and Wednesday. Shuttle service would not just boost Sea Isle. 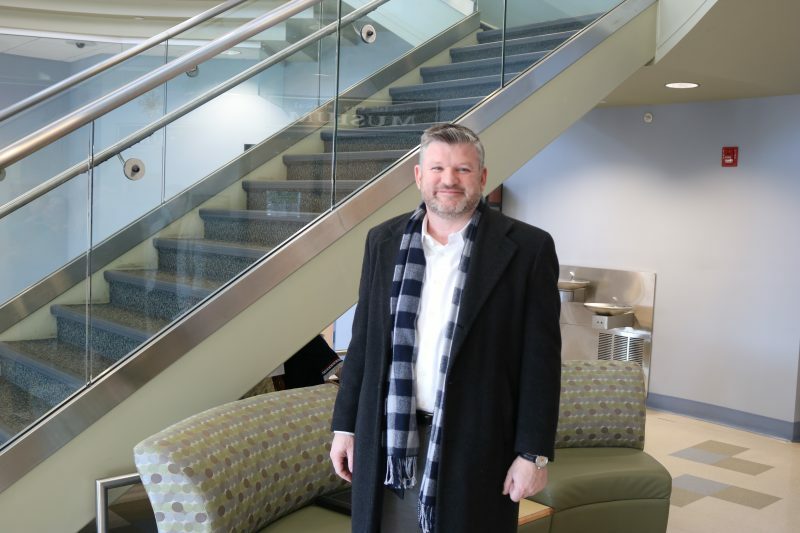 The campgrounds would benefit by being able to offer their vacationers even more amenities, including easy access to the beaches, restaurants and bars in Sea Isle without the worries of having to find parking on crowded streets, Scott Turner explained. “Every time I go to Sea Isle, I see our customers over there. We have thousands of customers who go to Sea Isle,” he said. 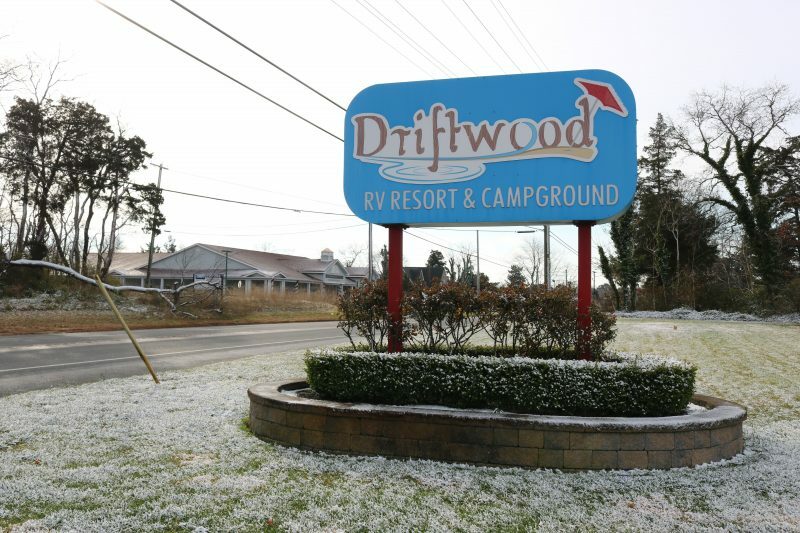 Driftwood RV Resort and Campground in Clermont is one of the campgrounds located along the Route 9 corridor just outside Sea Isle City. The Cape May County campgrounds offer an immense pool of potential visitors for Sea Isle. The county has more than 40 campgrounds. Dennis Township alone has about 5,800 camp sites, Scott Turner said, quoting county statistics. 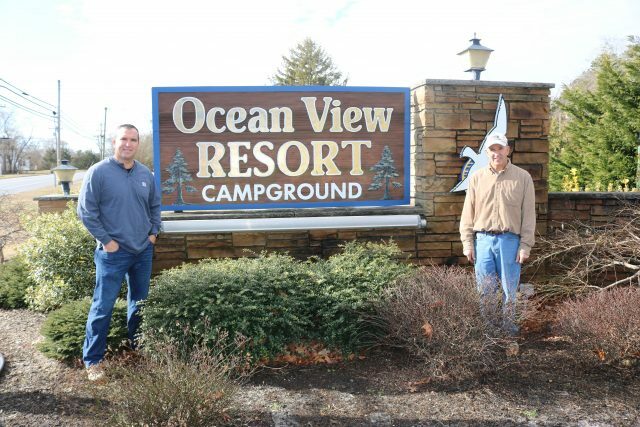 Ocean View Resort is the largest campground in New Jersey, according to Doug and Scott Turner. On a busy summer weekend, it has around 3,500 people. It also has 700 full-time families staying there. Doug Turner said shuttle service to Sea Isle would be even better if more campgrounds sign up to be part of the program. “If you could get several campgrounds to do it, that would be great,” he said. Chamber of Commerce officials are developing a strategy to attract more visitors from South Jersey and parts of Pennsylvania that have traditionally been feeder markets for Sea Isle, including Delaware and Chester counties. At the same time, they said Sea Isle’s businesses also need to focus on the campgrounds that are just a few miles away in Cape May County’s mainland communities, primarily along the Route 9 and Route 83 corridors. “I think it will be a big help for Sea Isle and for the campgrounds. It’s a win-win for everybody,” Glancey said of the proposed shuttle service. 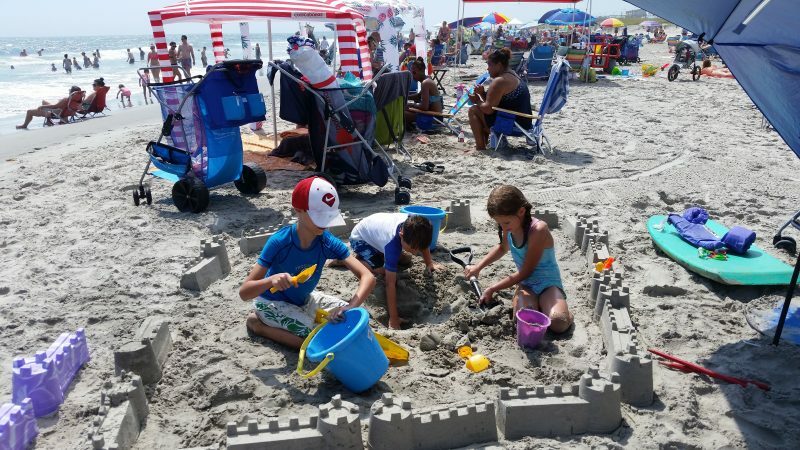 Sea Isle’s family-friendly beaches are seen as a big draw for campground customers taking vacations in Cape May County. Although the Chamber is looking to tap the campgrounds for new business, it seems that Sea Isle already draws many of the campers to the beaches. Former Sea Isle Mayor Mike McHale told the Chamber members during their board meeting in December that he believes between 20 percent and 25 percent of Sea Isle’s beach tags are sold to the campgrounds.